Buck Knives is an American manufacturer of different styles of knives including the first successful folding lock-blade, introduced in 1964. Folding lock-blade knives and "Buck Knife" thereby became strongly linked in the public mind, and the Buck design was much imitated, so that a buck knife, has come to mean any folding lock-blade design, even while Buck Knife is yet a trademark and not limited to folding lock-blades. 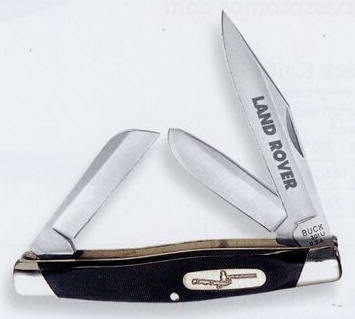 Buck Knives briefly made cutlery for home use, but after poor reception the steak knives were pulled from the market and the company decided to focus on the outdoor market.